A view from Burry Holms along the Cliffs leading to Three Chimneys Natural Arch. 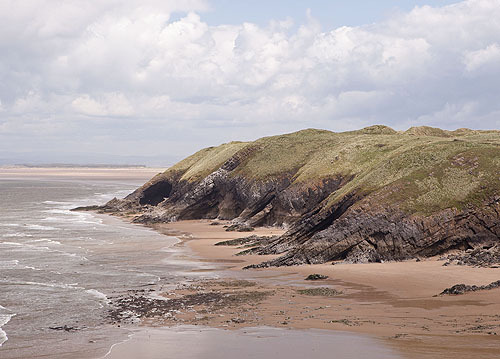 The Cliffs and the adjoining Llangennith Burrows are at the northern tip of Rhossili Bay . Gold coins from an 18th century shipwreck have been found here.